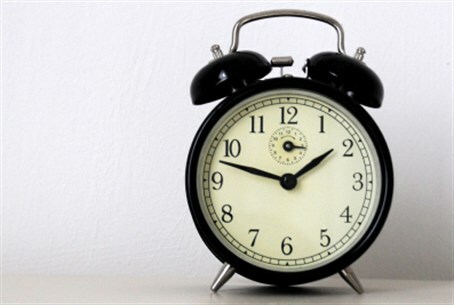 Israelis to gain back an hour of sleep, after clock changes from 2:00 am to 1:00 am Sunday. The time changes from Israeli Daylight Savings Time (IDST) to Israeli Standard Time (IST) in the early hours of the morning on Sunday, when the time will "fall back" from 2:00 am to 1:00 am on the morning of October 26. To enjoy the extra hour of sleep, Israelis are reminded to set their cell phones, if on "automatic," to the time zone for "Athens, Greece" following multiple mix-ups which saw some carriers change to standard time several weeks early this past month. On Sunday morning, Israelis can then change their time zone back to "Jerusalem, Israel." Daylight savings time is controversial in Israel, where it has become part of the debate over religion and state. In 2013, the Knesset decided to regulate the customary time change to align with the standard in Europe: changing from daylight savings to standard time not in the week before Yom Kippur, but instead during the last week in October. Those who favored extending Summer Time (daylight savings) insisted the change would save money by increasing productivity and reducing traffic accidents. The relatively early time change in the fall that was customary in previous years was meant to make life easier for observant Jews who wake up early for the Slichot prayers, and for Jews who fast on Yom Kippur. On the other end, the change from standard time to daylight savings was always scheduled to fall after the Passover seder - allowing Israelis observing the late-night traditional meal to glean an extra hour of sleep, and for children to stay awake for more of the meal. Instead, daylight savings time has now been regulated to begin in the last week of March regardless of the Jewish holidays. Despite the fact that two years have passed since the date change went into effect, Israelis have experienced ongoing issues with cell phone and computer mishaps as spring and winter approach. Cell phone developers had apparently prepared for the annual time change without taking into account the possibility that the Knesset might change the date, and some carriers have still failed to fully update their procedures two years after the fact.